Multiple EMMY® winning producer, social media influencer and entrepreneur Rushion McDonald, continues to deliver empowering insights and motivations to create success through his hit radio talk show “Money Making Conversations.” Each show’s theme is about entrepreneurship and welcomes a wide-ranging lineup of hit guests for the month of March. “Money Making Conversations,” hosted and produced by Rushion McDonald through his company 3815 Media, can be heard via iHeartRadio Podcast and live every Monday, 10 AM to 12 Noon EST on Biz1190 AM from Atlanta, GA. Following a winning lineup of guests during February, for the month of March on “Money Making Conversations,” Rushion McDonald will speak with celebrities in the entertainment industry, CEOs, entrepreneurs, and industry leaders. 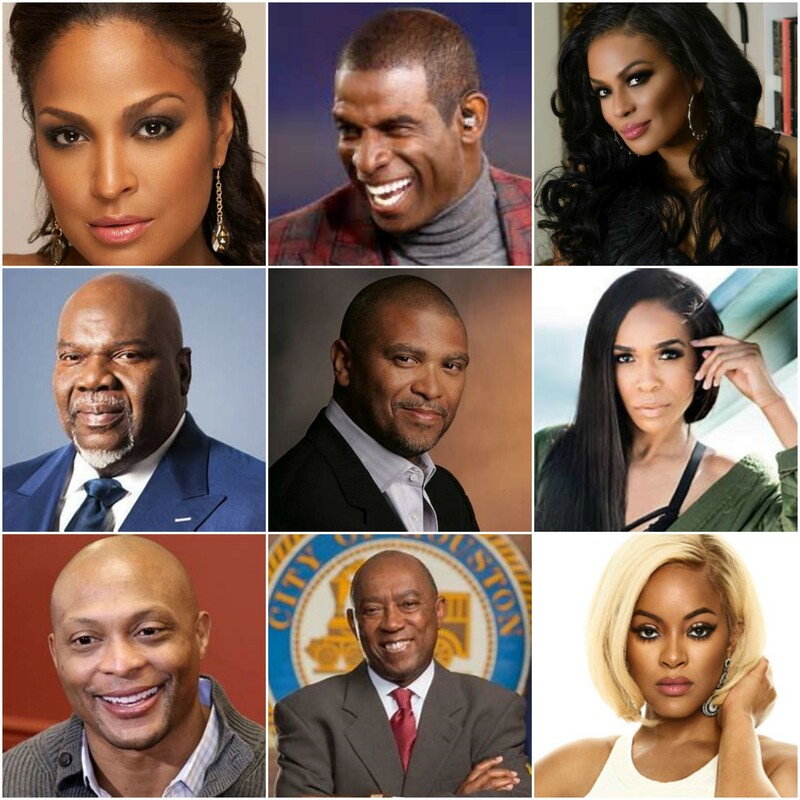 Beginning March 5th and throughout the month, the hit lineup of guests* expected on “Money Making Conversations” include: Oscar®-nominated acclaimed producer, director, and writer Reginald Hudlin; Houston Mayor Sylvester Turner; Pro Football Hall of Famer and entrepreneur Deion Sanders; Heisman Trophy-winning football star and entrepreneur Eddie George; renowned pastor, best-selling author, and filmmaker Bishop T.D. Jakes; GRAMMY®-winning artist/songwriter, actress, and entrepreneur Michelle Williams; TV host, author, wellness expert, and boxing champion Laila Ali; UniWorld Group, Inc. CEO Monique Nelson; ACT-1 Group Founder and CEO Janice Bryant Howroyd; Black Girls Rock! creator Beverly Bond; “Basketball Wives” star, and entrepreneur Malaysia Pargo; Central City Productions and Stellar Awards founder Don Jackson; GRAMMY®-nominated artist and author Jekalyn Carr; celebrity fitness and nutrition expert, best-selling author Obi Obadike; The Grio’s Amy DuBois Barnett; Guinness World Record holder, endurance athlete, and speaker Yolanda Holder; NFL Players Association’s Carl Francis; and National Basketball Players Association’s Bobby Simmons. Through his multimedia company 3815 Media, Rushion McDonald continues to empower audiences including millennials, business owners, everyday consumers, and influencers with each “Money Making Conversations” show, creating refreshing content and informative dialogue with expert free advice, discussions on career planning, motivation, financial literacy, career-life balance, secrets of success, and more. A branding expert, renowned business dealmaker, award-winning television and film producer, Rushion McDonald remains a creative entrepreneurial mentor and influencer with “Money Making Conversations” and other ventures spanning radio, television, digital and social media. “Money Making Conversations” has previously welcomed the voices and insights of guests like Patti LaBelle, Morris Chestnut, Hill Harper, Tracey Edmonds, Cedric the Entertainer, Kirk Franklin, Dr. Ian Smith, Jeff Friday, Jeff Clanagan, Attorney Ben Crump, Marcellus Wiley, Van Jones, Stephen A. Smith, among others.